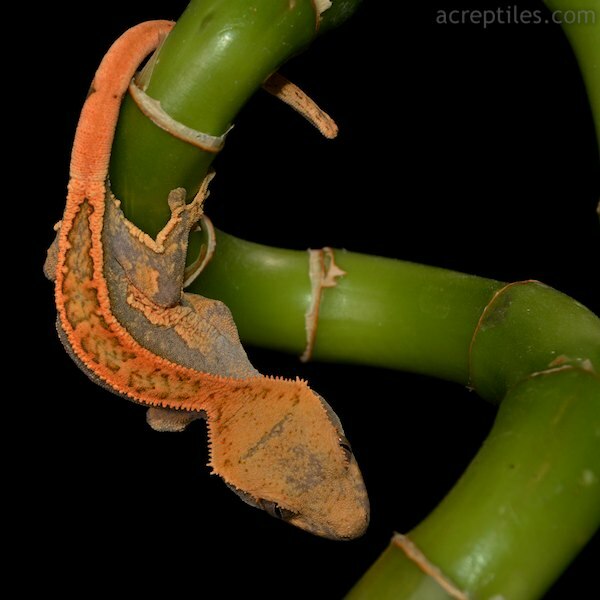 The crested gecko (Correlophus ciliatus) was previously thought to be extinct, until its rediscovery in 1994 on the Isle of Pines, a tiny island just off the southeast coast of the main island of New Caledonia. This was the gecko people only knew from a sketch and a holotype specimen that had been preserved in the late 1800's, which was the last time scientists had been able to find one alive. The species rediscovery was greeted with much excitement amongst both academics and hobbyists, but no one had any idea of just how popular this species would become in the pet trade. Crested geckos, unlike a lot of lizards that have proven to make not-such-good pets, rarely have health problems as long as a few simple requirements are met. Also, because they thrive at room temperature there is no need for expensive heating equipment, which makes housing infinitely less complicated, whether you're a casual pet keeper or a serious breeder. Their strange crests, eyelashes, seemingly endless palette of colors, interesting patterns - and ultimately, all the potential for combinations of the above, are what lured me into crested geckos in the first place. With all those qualities in mind, when I decided to begin breeding them, my goal was and still is very simple, if not a bit lofty; I want to produce the best looking crested geckos available anywhere in the world, and I want to help show the world what can be done with these geckos, in terms of selective breeding. To tackle a goal like that, and maintain as much genetic diversity as is scientifically possible, I knew early on that we would eventually be maintaining a very large colony. In the case of crested geckos, the old cliche "quality over quantity" did not apply, because quite frankly, they were brand new to the hobby and very little selective breeding had been done. Looking at the big picture in terms of crested gecko morphs, we were starting at square one and I quickly realized that it was a game of genetic odds. The more geckos we produced, the faster our selective breeding efforts would yield tangible results. Having seen first-hand how large numbers have accelerated our selective breeding efforts, I can tell you with absolute certainty that continues to be the case today. As of summer 2015, our colony consists of well over 2,000 selectively bred adults, making us home to the largest selectively bred crested gecko collection in the world. To my knowledge, it is now the second or third largest colony in the world, but in contrast to the larger, commercial breeders, who produce them specifically to be sold in pet stores, our collection consists only of selectively bred animals. Any geckos we sell in wholesale to big chain distributors are simply the geckos that didn't come out the way we wanted from our selective breeding projects (genetic odds say you'll always produce some average/normal specimens). In fact, our inability to produce enough average looking specimens has led at least one national chain to offer slightly more expensive "Fancy" crested geckos. Contrary to cliche "inbreeding" rumors that are spread about every big name breeder in the reptile hobby, genetic diversity is something I have never taken lightly, and I would consider our strong suit. When I started putting my founding group together, I wanted to obtain every single bloodline available outside of New Caledonia. Aside from all the US lineages I got my hands on, I even got some geckos in 2003 that descended from wild collected adults that were originally imported into Russia and Germany a few years earlier - lineages that were otherwise largely unrepresented in US collections. Later on I was also able to obtain a wild collected male who was imported years after the last big shipment that came into the US. Today, all but a few of those original geckos are still here and breeding. Today my crested gecko collection is what I believe to be one of the most genetically diverse collections in existence. 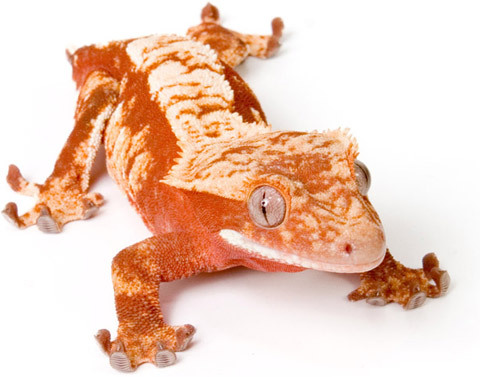 If there is a lineage of crested geckos in captivity that is not already represented in our collection, I am unaware of it, and I would be very interested in acquiring geckos from it.